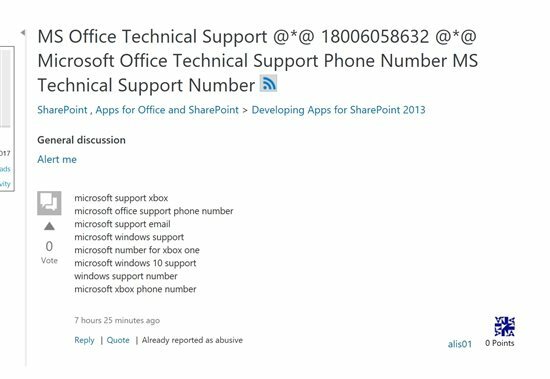 Spam posts in the MSDN/TechNet forums have been greatly reduced in the past year. However, we will always have to deal with the problem. This article discusses how to recognize spam and the best procedures for dealing with it. The desired outcome is for the forum administrators to ban the user account and delete all of their activity in all forums at once. Best practice is to report one post by each spam user account as abusive. This alerts the forum administrators to do their job. If the spam remains after a few hours, we can report another post as abusive. Reporting more than one post by the same user in a short period of time does not help. 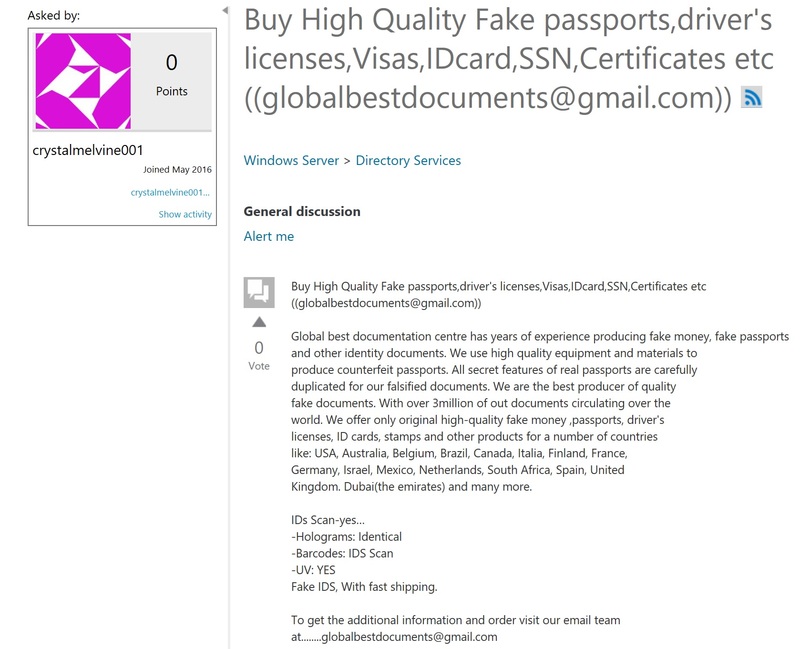 Spam in the forums is an off topic post that does not deal with Microsoft technologies. Spam usually encourages activity that is not recommended. 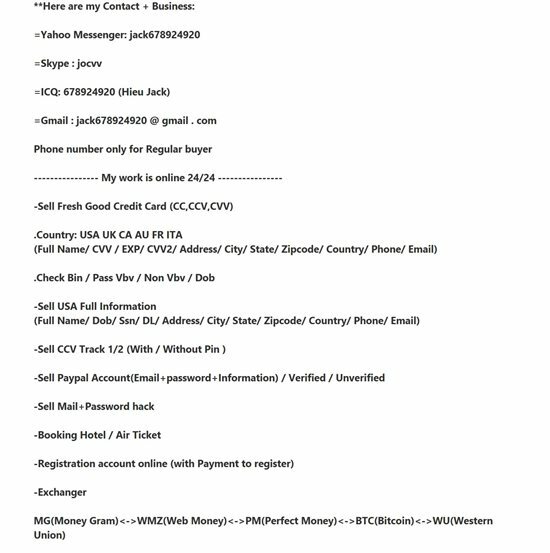 Examples are to navigate to rogue websites, dial phone numbers, send to email addresses, purchase products or services, or engage in illegal activities. Any posts with external website addresses, phone numbers, email addresses, or links should be examined closely. In many cases, keywords will be repeated many times in the post, in an attempt to game search engines. Invariably, the spammer will have zero recognition points. Often there will be a flood of spam posts to one or more forums in a short period of time. 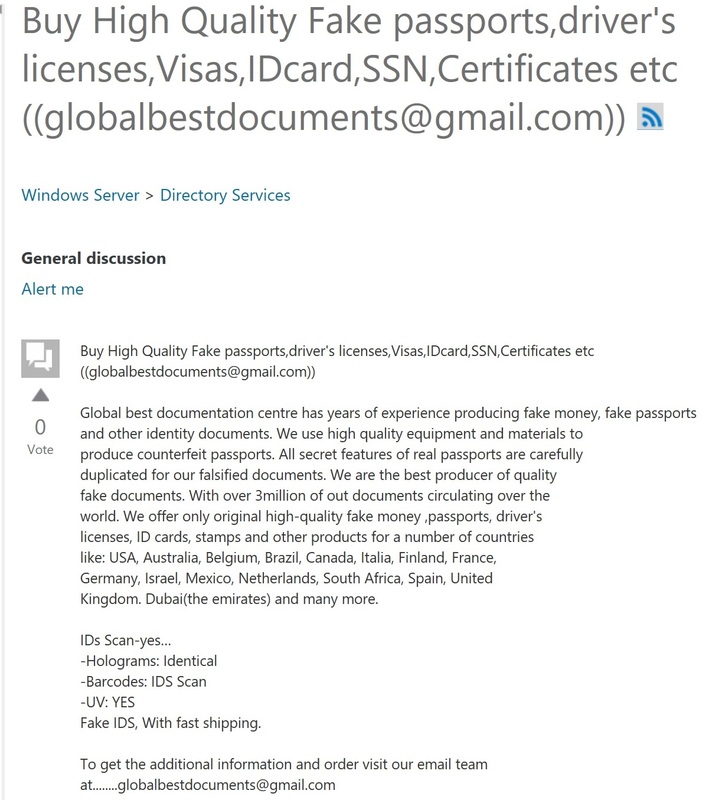 The example below shows spam titles in a forum view. These are examples of the appliance maintenance spam, described later. Text in non-English languages using non-Latin characters. 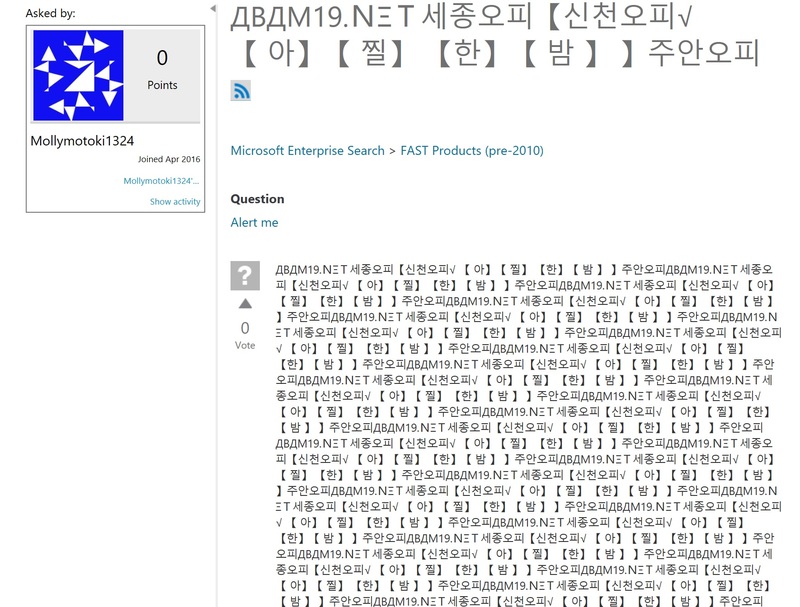 The text is sometimes obfuscated so that humans can read it, but software cannot. Examples include substituting similar appearing symbols or numerals for letters. Even upside down or sideways letters can be used. Placing spaces or symbols between letters. For examples of various types of spam posts, see the sections below in this article. The auto spam filter has been improved, but there will always be false positives. Also, the spammers are constantly adjusting with new techniques to fool the filters. It will be a constant battle. The best filter is the experienced human eye. That makes all of us part of the solution. Never reply to a spam post. At the bottom of every post there is a link labeled "Report as abuse". When we see spam in the forums we should click this link and select "Spam/Advertising" from the list. When prompted for a "Reason for reporting?" enter "SPAM", as seen in the below image, and click "Submit". This sends an alert to the forum administrators. They can investigate. If they agree that the account is used for spamming they will ban the user account. This immediately deletes all of the account activity in bulk. All posts by the user in all forums are removed in bulk. Anyone can report posts as abusive. You don't need to be a moderator. When you report a post, the other options (besides "Spam/Advertising") are meant to alert moderators to take action. As far as is known, the forum administrators only investigate "Spam" reports. Many of us used to report every spam post we saw as abusive. But the forum administrators complained that they were getting swamped with alerts and were losing track of the spammers. They have asked that we just report one post for each spam user account. The administrators can easily check the profile activities and verify that the account is a spammer. When they ban the user, all of their activity is deleted in bulk. The only problem for us is the crazy spammer usernames that make it hard to recognize unique names. 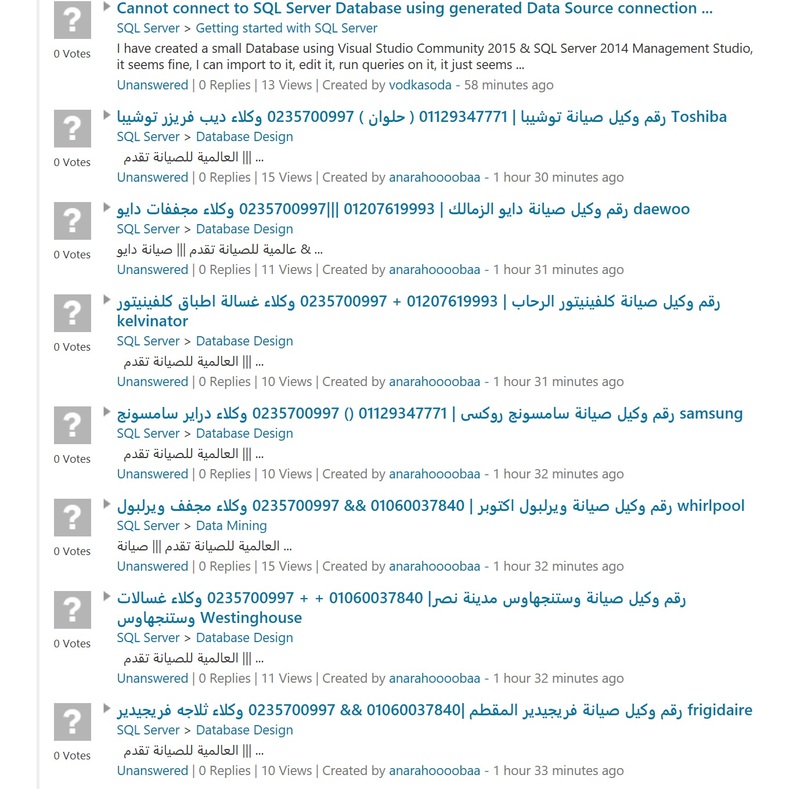 The other factor is that the forum administrators may be occupied with other activities when we report posts as spam. We don't know what their process looks like, but it seems that sometimes the spam reports get lost. 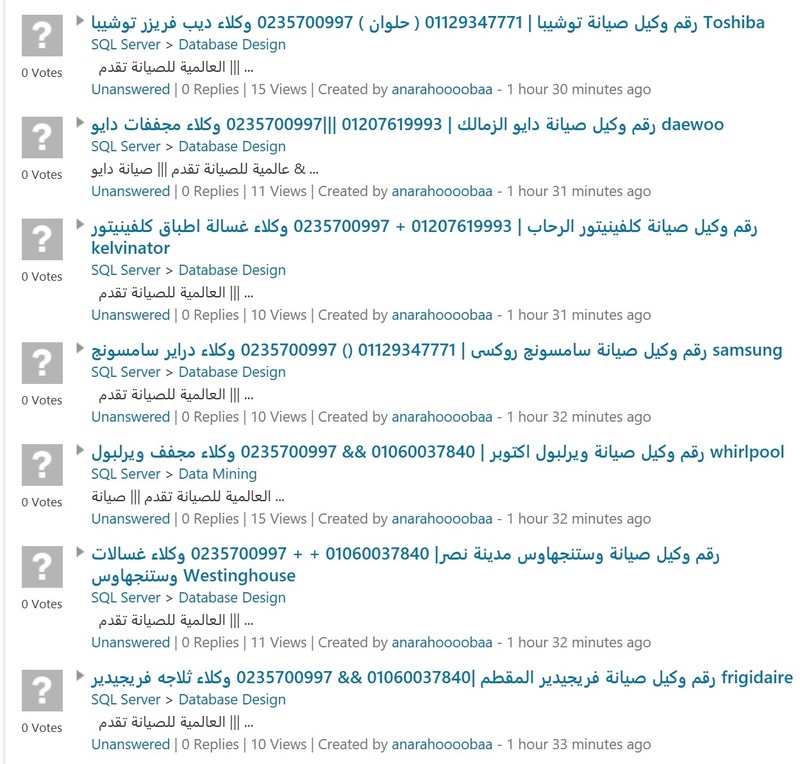 In these cases, if we have already reported all the posts by a spammer, we have no more posts to report. 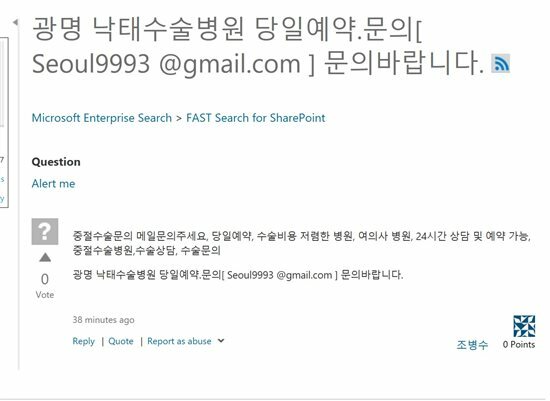 Our only option then is to email fissues [at] microsoft [dot] com with a link to the spam account profile activities. If we just report one post by the spammer, we probably have the ability to report another if no action is taken after a period of time, like 30 minutes or an hour. Although moderators like to delete spam to keep their forums clean, this tends to destroy the evidence. The forum administrators are not going to check deleted threads. As moderators, we can only delete posts in the forums we moderate. There can be many more spam posts in other forums. And even if we happen to delete all of the posts by a spammer, we cannot ban the user. The account remains to be used days or weeks later. The best option is to report one post per spammer as abusive and leave it for the forum administrators to do their job. Then we can check again later to see if we need to report another post as abusive. If necessary, we can email fissues with a link to the spammer's profile. Following are descriptions and images of typical spam posts encountered recently. 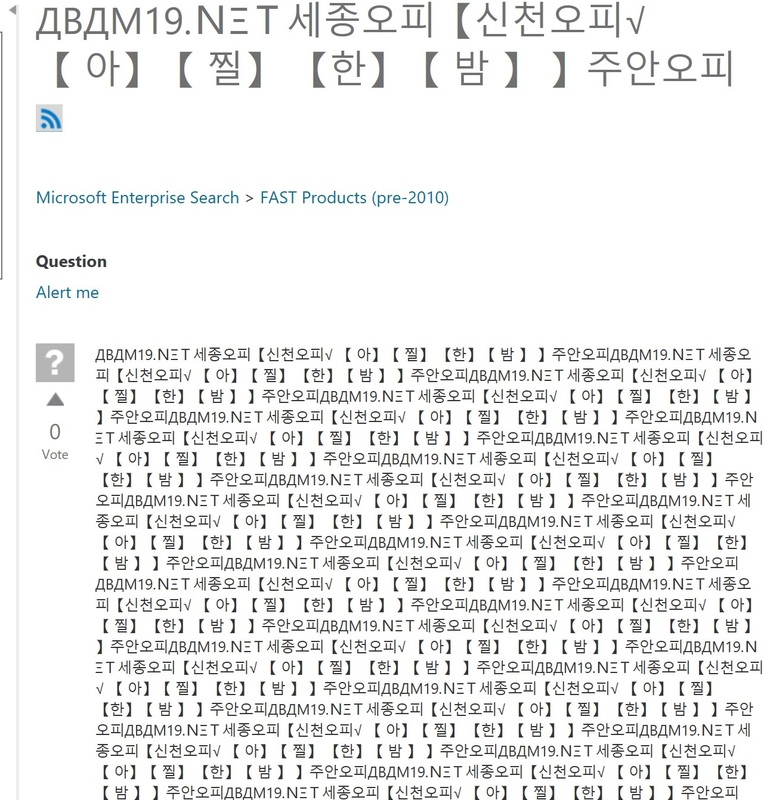 If you are unsure about a post in a language you do not understand, especially if it is a new variety, you can copy and paste text into this Bing Translator page: https://www.bing.com/translator/. This helps determine if the post has anything to do with Microsoft technologies. 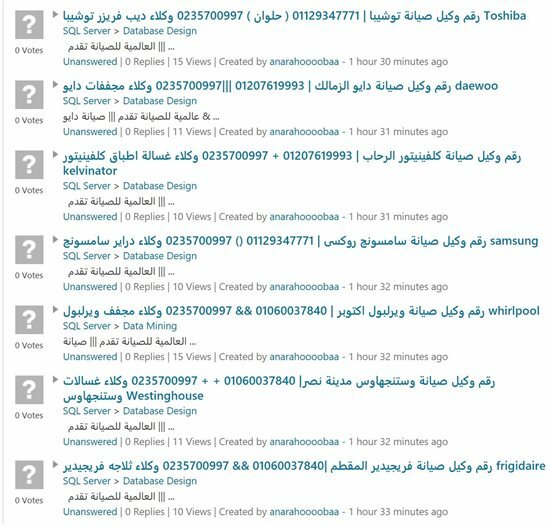 These Arabic language posts deal with appliance companies and maintenance contracts. All kinds of appliances and many different companies can be mentioned. Often the appliance company name appears many times, as in the image below. See the section above titled "What is Spam in the Forums" for an image of spam posts in several forums. It shows some of the variety seen in this type of spam. 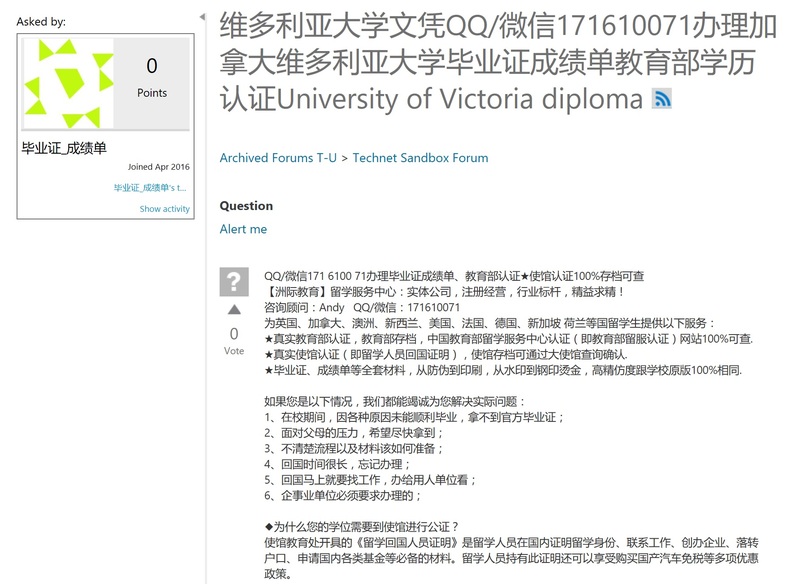 These Chinese language posts are advertising various university transcripts, degrees, and other documentation. 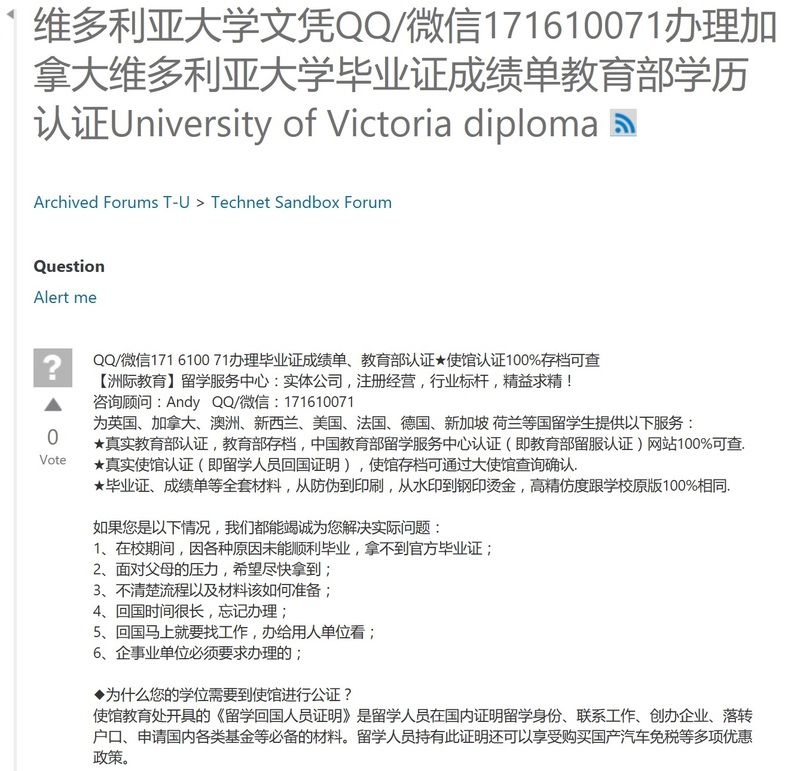 There is a wide variety of universities from many countries mentioned in these posts. 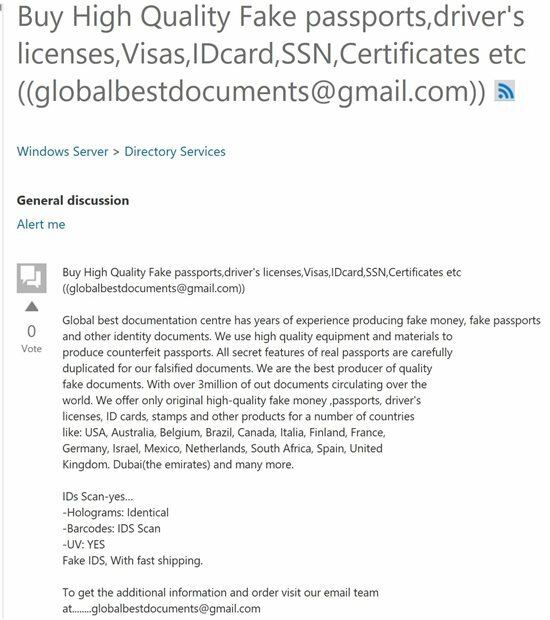 This English language spam is advertising fake documents, such as driver's licenses, passports, visas, birth certificates, and social security numbers. There are many spam posts whose sole purpose is to advertise website addresses. 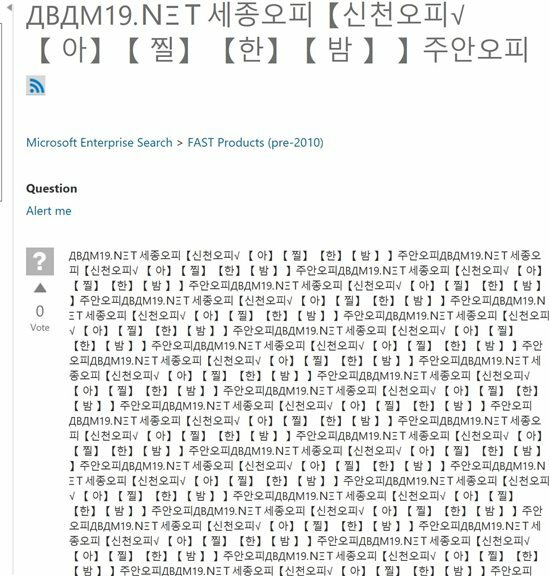 Most of the time the rest of the post is gibberish, and the web address will be obfuscated, as in the below example. 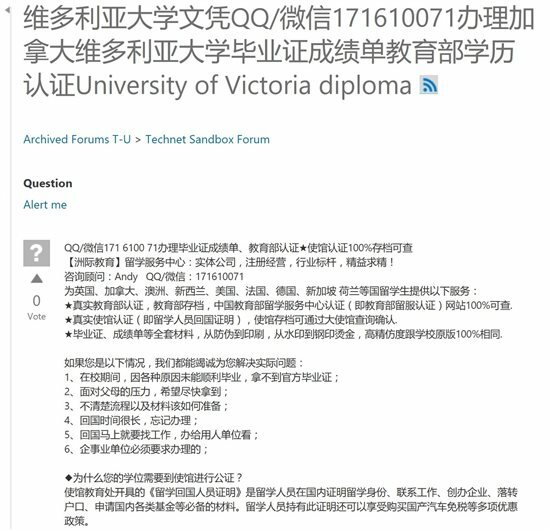 Note the web address ABAM19.NET. 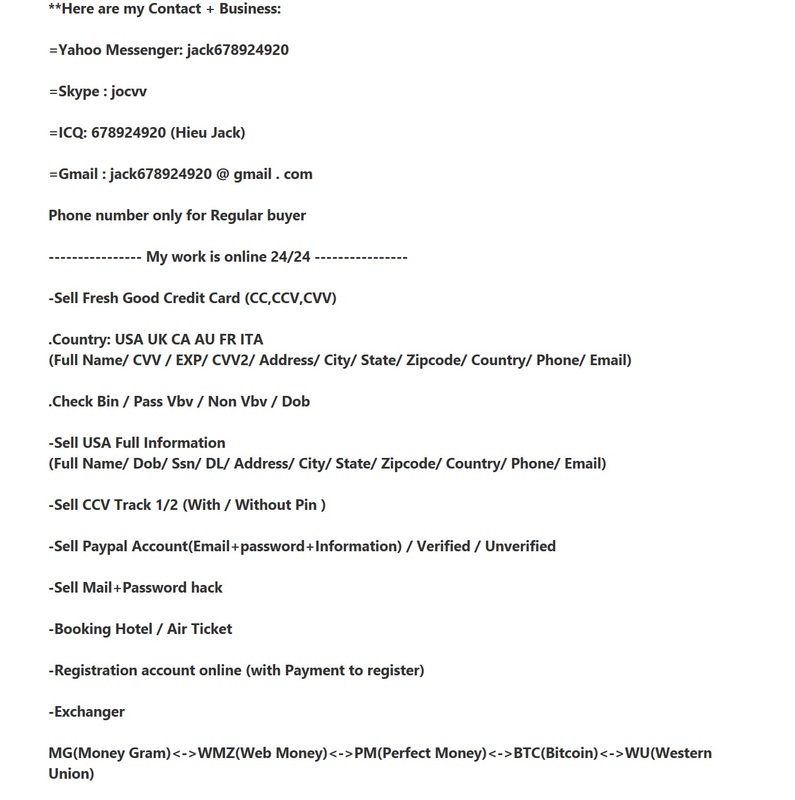 This spam advertises credit card and bank account information, including social security numbers and dates of birth. This spam advertises surgery and abortion clinics. Please contact us for a surgical inquiry, the same day reservation, surgery cost cheap hospital, Doctor Hospital, 24-hour consultation and reservations available, surgical clinic, surgery consultation, surgery inquiries Kwangkwang Abortion Clinic Day reservations. Contact us [seoul9993 @ gmail.com]. Less common recently is spam posts advertising various miracle creams or supplements. These used to be very common but is now rarely seen. This variety is also not seen as much as in the past. An increasingly common variety of spam in the forums. 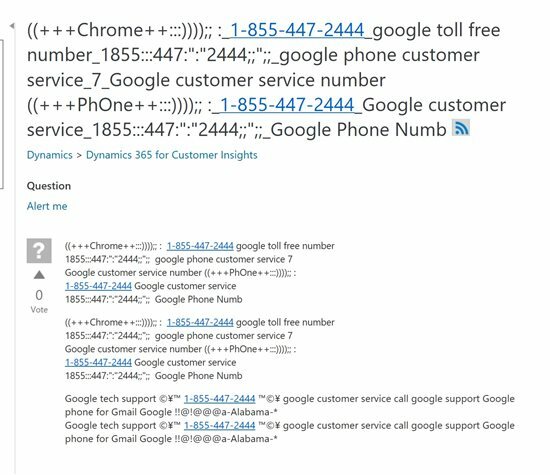 The first example claims to be support for Google. Notice the very long title for the post. 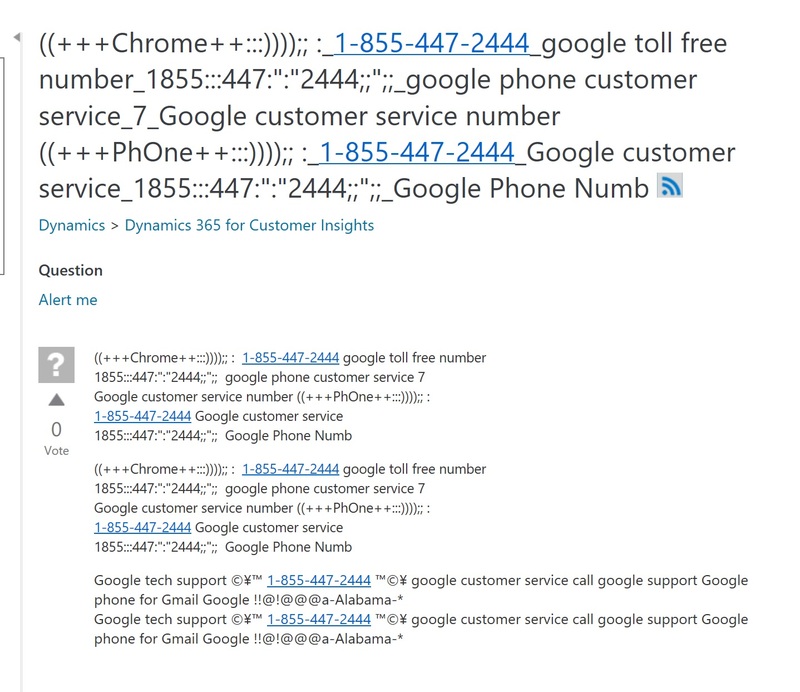 The second example claims to be support for Microsoft. Then scan the pages for spam. With practice it takes only a few seconds per page to tell if there is any spam just by glancing at the titles. In a few minutes you can review all of the posts from the last day. When you find a spam post, open it, scroll to the bottom, and click on the link "Report as abuse". Select "Spam/advertising" from the list. For the comment add simply "SPAM". Remember to only open and report one post per user. The tricky part is identifying different users when the names are similar and in foreign languages. When reporting a post as spam, you can click on the link for the user's activity, then copy and paste the URL for the activities into a text file. This helps identify different users. It also allows you to check later if the user has been banned. If the activity remains, you can report another post by the user as spam. But recently the forum admins have banned the users within a few hours. It is seldom necessary to report more posts.